This section cotains vehicles database – listings added by members and administrator. 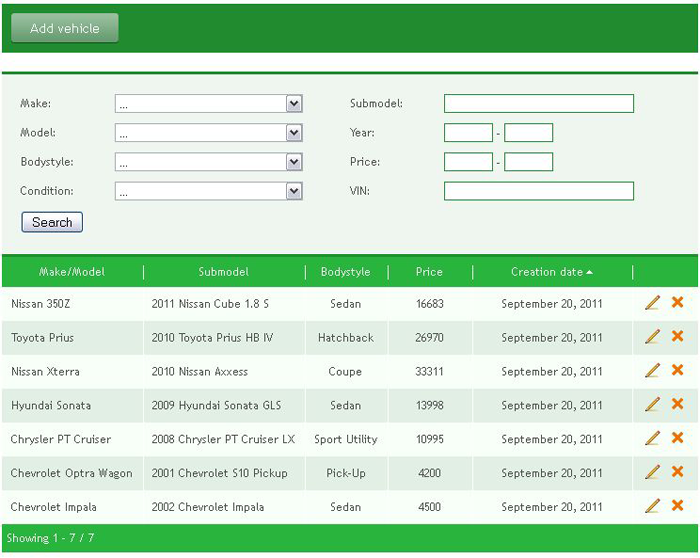 filter car listings by make, submodel, bodystyle, price and date of listing creation. 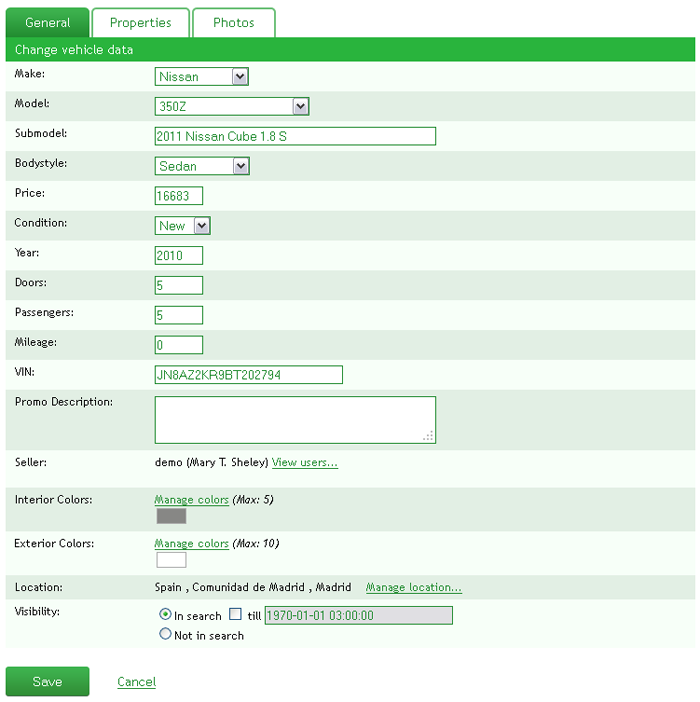 Administrator can add, edit or delete a car listing if required.